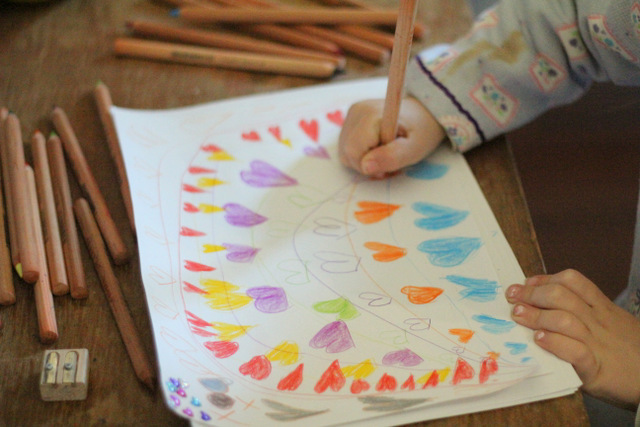 “The materials that we give our children to create with send them a message about how we value their creative endeavours, their time, and their work. When we care for and value their materials, so will our children. If we invest resources and treat the materials with respect, our children will know that their work is important to us. They will know we believe they are worthy of the “good stuff”. Amanda Soule, The Creative Family. I read these words when Little Eco was still a baby. They struck a chord with me and have influenced the type of art supplies I've bought for her and the space we’ve dedicated for her creativity. 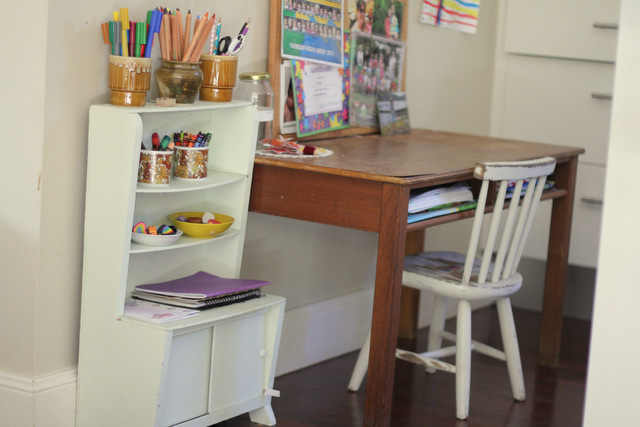 Little Eco's art desk takes pride of place in the corner of our kitchen and her painting table is permanently set up on our verandah. I buy her few art materials and favour quality over quantity. Quality art supplies make creating easier and also mean less clutter and less waste. Little Eco (and I) particularly love Lyra pencils, so when Tracie from Dragonfly Toys offered to run a giveaway for Little Eco Footprints readers I jumped at the chance for one of my readers to win a set of these pencils. 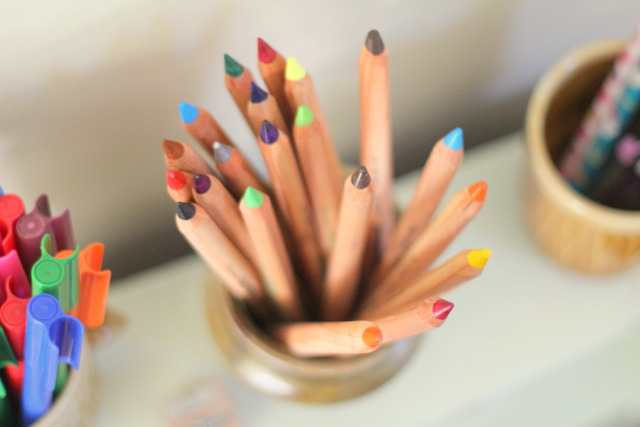 Would you like to win a Waldorf Selection of Lyra pencils? Entries have closed and the winner was comment number 16 - Shellie. Congratulations Shellie! I've sent you an email. To enter head on over to Dragonfly Toys and check out their products (which are delightfully categorised into imagine, create, listen, read, live, give, and baby) and pop back here and leave a comment sharing which of their products you love the most and why. Entries close midnight (Australian EST) Wednesday 6th June 2012. The winner will be chosen by Random Number Generator and will be announced here in this post on the Thursday morning. I'll contact the winner directly by email. Good luck.